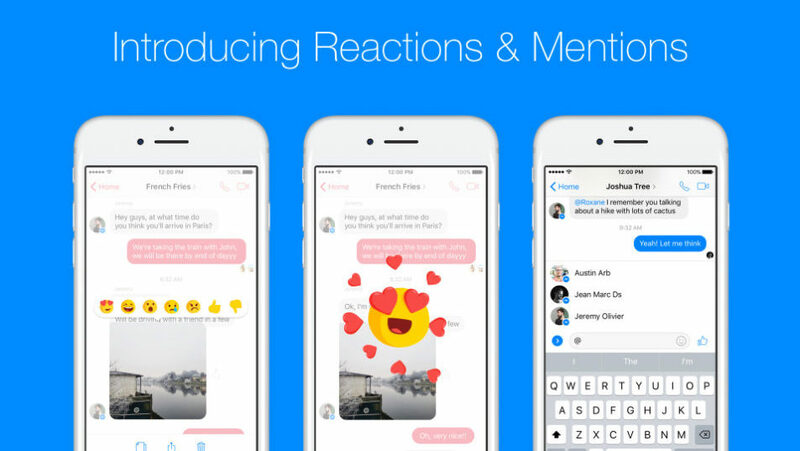 You can now mention someone and send reactions on Messenger as facebook continues its quest to make messenger the best IM in the world. In recent times, Facebook Messenger has added so many features and the latest is the reaction and mention features which i believe will be of maximum interest to users. You can now react to any single message in a thread, and select between seven different reactions to do so. ✔️ To add a reaction, press and hold any message and then tap to select one of the following emojis that show up: love, smile, wow, sad, angry, yes, and no. Note that those last two ones can also easily be interpreted as "like" and "dislike", respectively, given the fact that they're styled like a thumbs up and thumbs down. While you're in a conversation, you'll see reactions to messages in the lower corner, where you get a summary of how many people reacted. Tapping on that will tell you exactly who reacted how. And when someone reacts to one of your messages, you'll get a small animation. If you don't have Messenger open, you'll get a notification telling you that someone has reacted to a message of yours. 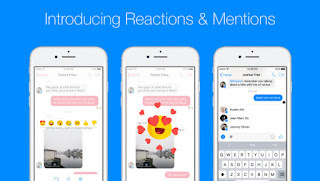 Reactions will be available for all messages - text, stickers, videos, images, GIFs, and even other emojis. And all of this works in all conversations, be they one on one or of the group type. Mentions on the other hand are handy for group chats when you want to get someone's attention. Just type the "@" symbol followed by the first few letters of that person's name or nickname (just like WhatsApp). You'll get a list of people that you can pick from. Then write what you want and that participant in your chat will be notified that you've mentioned him or her. This will be achieved through a new type of notification, which lets them know that you called them out specifically. Nice feature as posted in the 20th March update.